Purpose: To honor an individual who has made a positive impact in our community through giving, and whose philanthropic leadership sets an inspiring example for us all. Complete the official nomination form and a letter explaining why your nominee should be selected as the Montgomery County Philanthropist of the Year. Please note that the cover form must be completed in its entirety in order for the nomination to be eligible. The Awards Committee will not accept nominations which rely solely on resumes, newspaper articles, annual reports or the like in substitution for concise responses to the criteria outlined below. 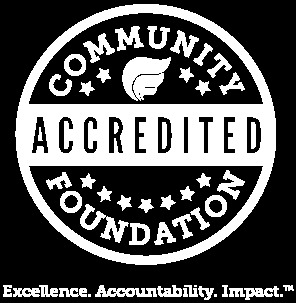 Pending review by the Philanthropist of the Year Selection Committee, The Community Foundation staff may contact you for additional information. For inspiration, look no further than our past honorees. Note: The level of charitable dollars given is secondary to its impact and potential to inspire others to follow suit. Creative approaches to philanthropy are welcome! Nominees may be of any age. In exceptional circumstances, the Award Committee may consider a former resident, a family unit, or a philanthropist who is deceased. The Community Foundation in Montgomery County will contact the selected awardee and her/his nominator by the end of May. All other nominations will remain confidential. Questions: Contact Bridget Hanagan at bhanagan@thecommunityfoundation.org or 301-495-3036 x169.